Share your home search with your trusted social network including your agent, significant other, family, & friends. Add friends via Facebook or your contacts. 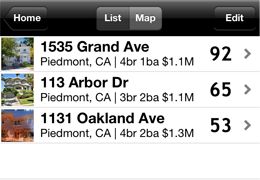 Easily compare homes with your DreamGroup so they can see what you see and like. Our patent-pending DreamScore technology simplifies your search by scoring each home you visit 1 to 100 according to your preferences. The higher the DreamScore, the better the match! 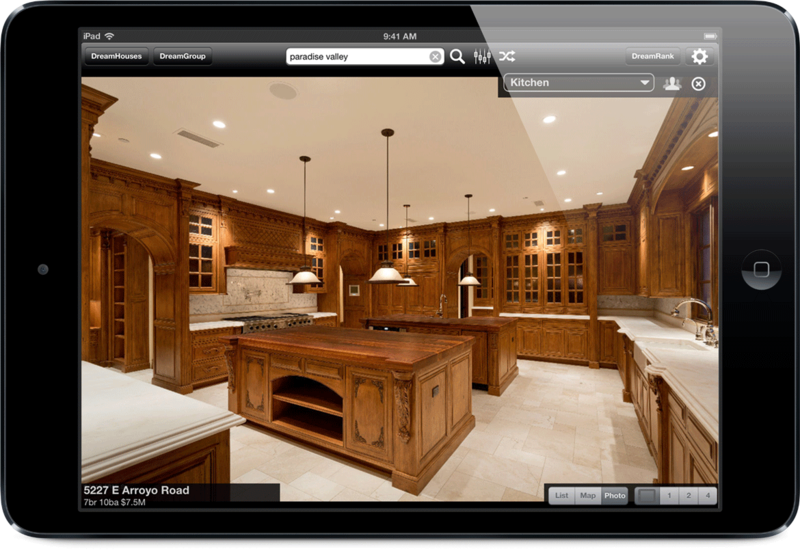 As you visit a home, score your preferences, take photos, or jot notes on your smartphone. All your data is automatically saved to the cloud. View your entire search on your favorite device and sync across devices. 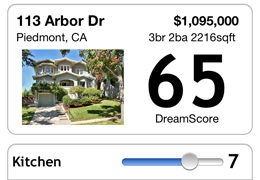 Pair with your agent or broker's DreamPro app and get access the latest inside info on local properties as well as search your local MLS listings. 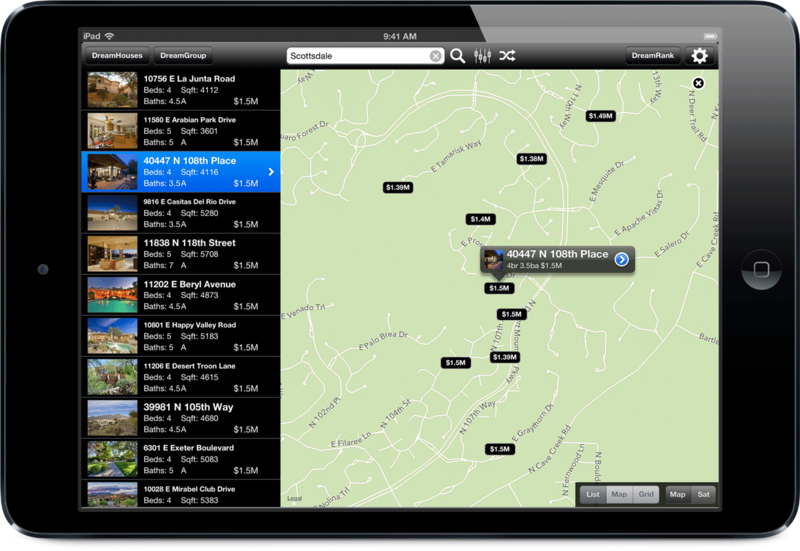 Share your home search with your trusted social network including your agent, significant other, family, & friends. 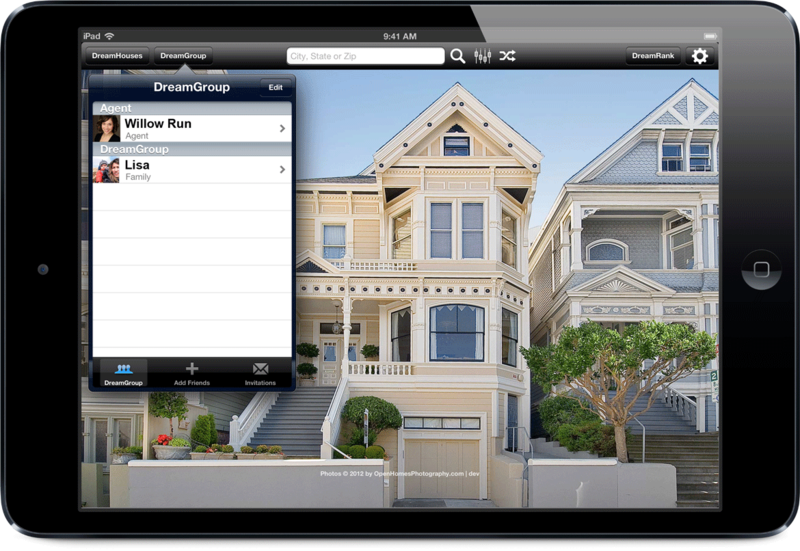 Homes you add, photos or notes you take will be shared with those in your DreamGroup. 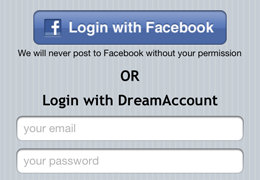 Login via Facebook from within the app and easily add to your DreamGroup from your friends. 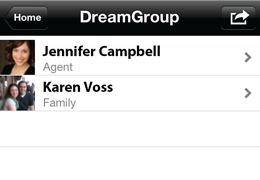 Your DreamGroup is a private space only viewable by those you invite. 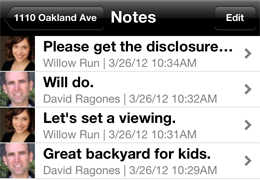 Add your notes to any listing and share with your DreamGroup. Get feedback privately from those you trust. 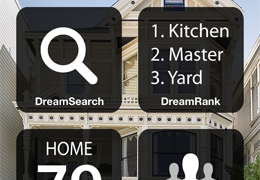 Think of your DreamRank as what’s most important to you in a home. 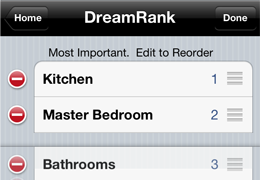 DreamHouse creates a set of preferences by default but you can add, delete, or reorder as you wish. Each home you visit will then be scored according to these preferences. As you find homes, add them as DreamHouses. When you are visiting a home, you can score your preferences, take photos, or add notes. 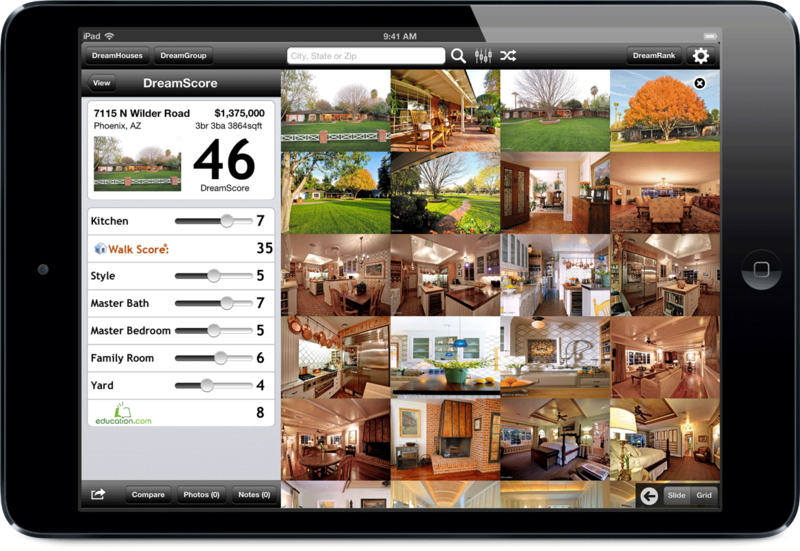 Every home you add will be collected on your DreamBoard ranked by DreamScore. Now integrates with Walk Score® and Education.com for the best in walkability, transit, and school data. 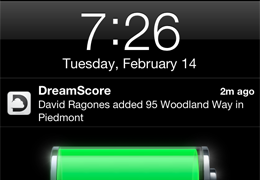 Anytime someone within your DreamGroup adds a listing or a note, you get notified! 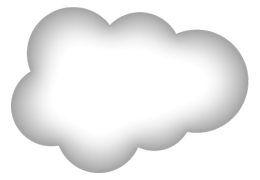 All your data is automatically saved to the cloud. View your entire search on your phone and sync across devices. iOS today. Android coming soon. 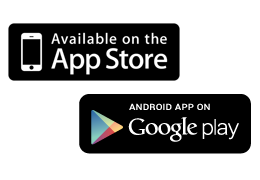 Available today on the App Store for iPhone and iPad. Coming soon for Android devices.